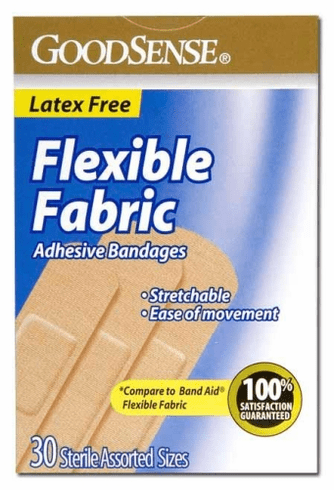 Flexible Fabric Adhesive Bandages. Stretchable. Ease of Movement.